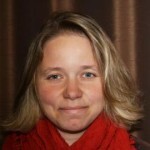 Leena Arhippainen is a user experience (UX) researcher at Center for Internet Excellence. In the previous SILC project, she investigated user experiences of virtual and physical learning environments. In the Chiru project, she led UX studies related to 3D user interfaces. In the ADAMOS project, she focused on the user experiences in the context of adaptive mobile services. Arhippainen received her Master’s degree in the Department of Information Processing Science at University of Oulu in 2002 and Ph.D. degree in 2009. Her doctoral thesis focused on UX research methods in the mobile device context. She created ten user experience heuristics during her doctoral studies. These UX heuristics have been used in the Interaction Design course and different UX studies.